In Daytona Beach, there are just as many Christmas trees as palm trees this time of year — it’s a festive, beach-y atmosphere that creates a one-of-a-kind holiday experience. Want to explore all the twinkle lights and jolly holiday happenings with your family? Follow this suggested itinerary for the picture-perfect wintertime outing in Daytona Beach. For an idyllic shopping experience, head to historic Beach Street. Stroll along the cheerfully decorated storefronts, either window-shopping or taking the opportunity to knock out your holiday gift list! You never know what stocking stuffers or surprise gifts you might stumble upon at the shops. Plus, make sure to stop at the annual crèche art exhibit for holiday charm that is unique to Daytona Beach. Depending on what day you and your family are out and about, you can discover all kinds of holiday joy at ONE DAYTONA. At the dining and entertainment hub located directly across from Daytona International Speedway, various WONDERLAND events will deliver FREE family fun. On Tuesday nights from 5-8 p.m., it’s Family Night at WONDERLAND! Get a peek at reindeer and elves, sing along with holiday carolers, embark on an art experience at the art station, and more! On Saturday nights, you won’t want to miss Live Holiday Jazz from 6 to 9 p.m. And, on Sundays, get a taste of the North Pole right here in Daytona Beach — Sunday Snowdays happen from 3 to 7 p.m. There will be a dual-lane snow slide, an interactive DJ, a Polar Express train, stilt walkers, balloon art and so much more — you won’t want to miss this! By this point in your afternoon/evening outing, you’ll likely have worked up an appetite! Fortunately, ONE DAYTONA has plenty of food offerings right on-site to satisfy all cravings. 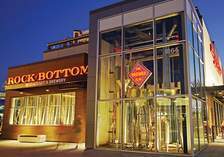 Create personalized burger creations at BUILT Custom Burgers, savor Midwest-style BBQ at Oklahoma Joe’s, or say cheers to a wonderful day at Rock Bottom Restaurant & Brewery. Better yet, top off the evening with a scoop of peppermint ice cream at Ben & Jerry’s — in Daytona Beach, the mild temperatures permit a wintertime ice cream treat! Finally, finish off your family outing with a whimsical, memorable ride through the Magic of Lights® Holiday Display. Wind your way through a 1.5-mile-long LED and digital animation light display at the iconic Daytona International Speedway. Soak in the sights of the Snowflake Forest, relish the ride through the 200-foot-long Candy Cane Lane, and watch in awe at musical light displays. You’ll even be able to watch Santa&apos;s team of reindeer cross in flight above you — and all from the cozy comfort of your own vehicle. It’s the ideal way to cap off an evening filled with holiday cheer. 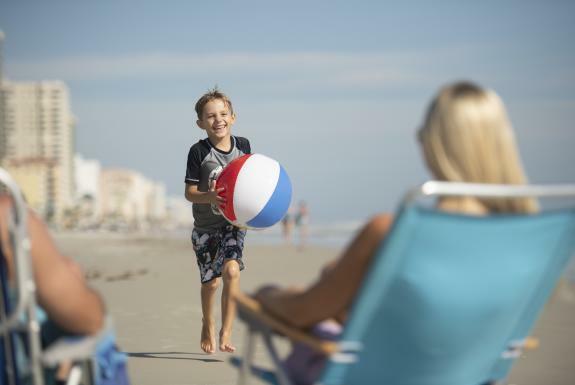 Whether grooving to live music or sipping on hot cocoa as a family, Daytona Beach offers endless ways to celebrate the season. Pack your brightest, best holiday sweater and start planning your trip to Daytona Beach today! Downtown Daytona Beach&apos;s Riverfront Shops of Daytona Beach boasts more than 60 shops, restaurants, attractions and services, plus an exceptional Farmers&apos; Market - all in a splendid waterfront setting. 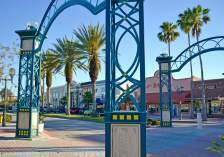 Head to the historic Beach Street retail area located between Bay Street and Orange Avenue to spend a delightful day enjoying new flavors, treasures, experiences and events. Riverfront Shops has been surprising visitors and locals alike since 1870. Adjacent to City Island, Jackie Robinson Ballpark, Riverfront Park and the Sweetheart Trail. ONE DAYTONA is a new lifestyle and entertainment center located across from the iconic Daytona International Speedway in Daytona Beach, Florida. 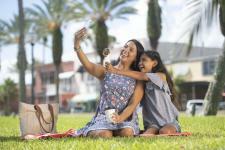 Featuring a vibrant and growing mix of unique dining, shopping and entertainment experiences, ONE DAYTONA is a destination within a destination for locals and visitors to explore and enjoy. 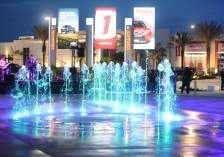 ONE DAYTONA offers a one-of-a-kind showcase of first-to-market retail outlets and specialty shops, quick-bite and full-service restaurants, and energetic live entertainment, all set against the backdrop of the World Center of Racing. ONE DAYTONA also features a Fairfield Inn & Suites by Marriott which opened in early 2018, and The DAYTONA®, a Marriott Autograph Collection® hotel opening in late 2019. Welcome to BUILT® Custom Burgers, where building your own burger is as easy as 1, 2, 3 and 4, 5, 6. Start by selecting your premium all-natural protein & cheese then head on down the line to build the ultimate burger. Can’t decide? 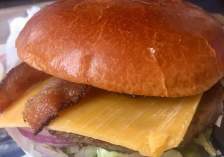 Order one of the signature burgers! Located at ONE DAYTONA across from Cobb Movie Theater. 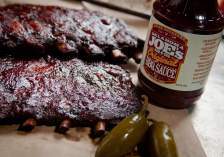 The recipient of over 300 awards and numerous BBQ titles, Oklahoma Joe’s BBQ serves delectable smoked meats, including its signature burnt ends, slow smoked ribs, pulled pork, and more. They have been recognized by world-renowned chef Anthony Bourdain as one of the “13 Places to Eat Before You Die” in Men’s Health magazine, and was voted “Tastiest Ribs in America” by USA Today. Want to enjoy ice cream the way it was originally intended? 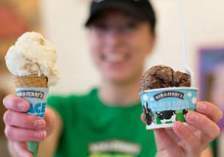 Head into Ben & Jerry&apos;s, a locally-owned and -operated ice cream shop at ONE DAYTONA. Dig into any of the euphoric ice cream flavors in the way the first scoops were served up by Ben and Jerry themselves. 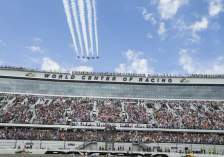 Daytona International Speedway completed a $400 million renovation project that transformed the “World Center of Racing” into a state-of-the-art motorsports facility. Improvements included wider, more comfortable seats, five expanded and redesigned entrances, 40 escalators and upgraded amenities throughout the 11 football-field size neighborhoods. The stadium was awarded the SportsBusiness Journal’s prestigious Sports Business Award for 2016 Sports Facility of the Year. Daytona International Speedway is the home of "The Great American Race" - the DAYTONA 500 Presented by AdventHealth. Though the season-opening Monster Energy NASCAR Cup Series event garners most of the attention - as well as the largest audience in motorsports - the approximately 500-acre motorsports complex boasts the most diverse schedule of racing on the globe. In addition to at least eight major weekends of racing activity, rarely a week goes by that the Speedway grounds are not used for events that include civic and social gatherings, car shows, photo shoots, production vehicle testing and police motorcycle training. Experience the 31-degree high banks for yourself on one of the daily tours offered at Daytona International Speedway. Walk in the footsteps of legends past and present as you climb atop the podium in Gatorade Victory Lane for a photo. See this year’s DAYTONA 500 champion car, left in the same condition as the day it captured the checkered flag. Following your tour, stroll through the Motorsports Hall of Fame of America, showcasing spectacular displays honoring all forms of motorsports: stock cars, sports cars, open-wheel, motorcycles, drag racing, land speed records, powerboating and aviation.